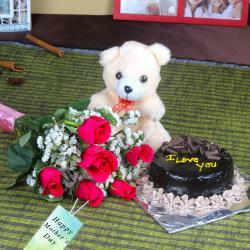 Product Consist : 12 Pink Roses Bouquet, 1/2 Kg Chocolate Cake along with 6 Inch Teddy Bear. 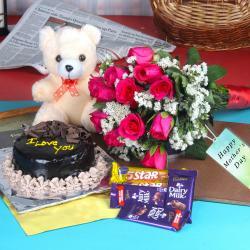 Mother' Day is a very special day of the year for everyone. People who care and love their mothers celebrate this special occasion in many ways. 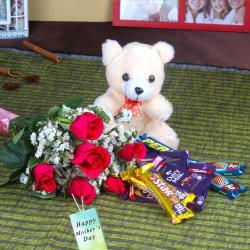 Send this Fresh Roses Bouquet Hamper for Mothers Days Gift to make them feel very happy. In this gift set mom gets a cute love with some delicious sweet munch so send these products let her pamper herself to her heart' content, all courtesy of you. Every mother will love this bouquet of these exotic flowers for Mother's Day Gifting. The importance and worth of a mother is difficult to be expressed in words so through this gifting express your special feelings and respect. 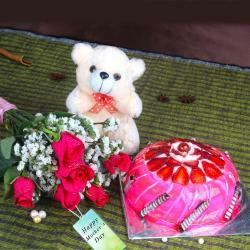 If you are looking for some exotic Mother's Day Hampers like Fresh Roses Bouquet Hamper for Mothers Days, then head to Giftacrossindia.com the largest variety gifting store of India. Our breath-taking products will surely mesmerize you at a glance. 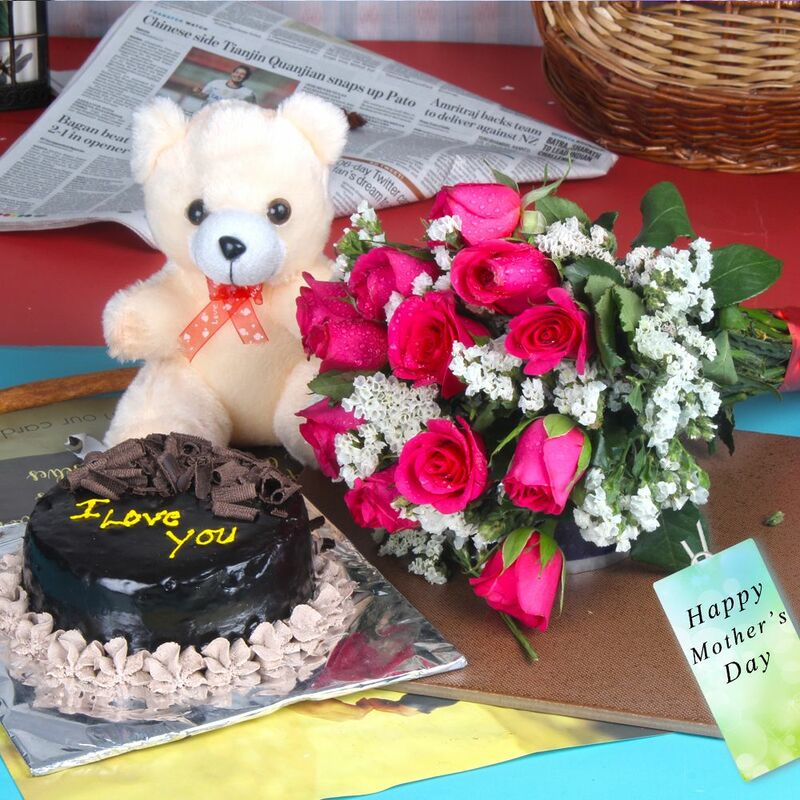 Product Includes : 12 Pink Roses Bouquet, 1/2 Kg Chocolate Cake along with 6 Inch Teddy Bear.